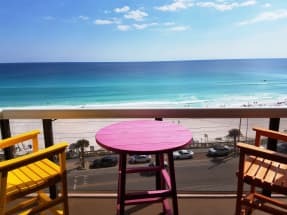 Vacation Rental Properties at Surfside in Destin FL! 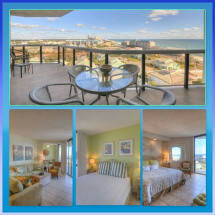 Emerald Coast by Owner is proud to be your premiere vacation rental service throughout this gorgeous complex, offering you some of the most luxurious properties in Destin! Surfside comes with a convenient location, beach access, restaurants, pools, a day spa and athletic courts. While you stay here, there's plenty to do! If you're looking to shop, the Destin Commons is a very popular outdoor mall with over 90 stores that is a huge attraction here, and if you need groceries for your stay, Publix is the way to go! As for activities, people love renting golf carts, jet skis, paddle boarding, deep sea fishing, boat tourism, and so much more! When it comes to food, you will be blown away! Destin is full of great seafood spots like Pompano Joe's, a lively scene with an upper restaurant deck and a lower snack bar, this is the place to be when you're dining, in Destin, with the fun music, good food and drinks and the volleyball court! 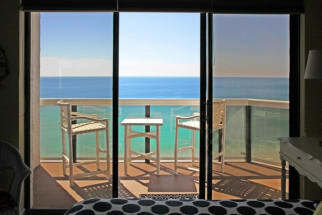 Browse our selection of condos available for rent at Surfside Resort in Destin, FL below. If you find a listing you are interested in renting, you can email the property owner directly by clicking on the "Email Owner" button found on each listing. Our Surfside Resort condo owners will gladly answer any questions you have and assist you in the booking process. ECBYO does not charge any booking fees!